If you do a Google search for "Zentangle", 137,000 hits appear. At this moment. Try it again in an hour and there will probably be more. Some of the sites that show up are images with real Zentangles, some have zentangle-ish images, and some are blogs where artists and crafters show their zentangle-ish art but swear they thought of it long before the evil Zentangle-people coined the term and started scamming people into buying a kit to learn how to doodle. It is very hard to resist commenting on these blogs, but I don't think my opinion would make a difference to these people and there is just no point in arguing with them, so I keep my mouth shut. But I can write my opinion here, since this is MY blog gosh-darn-it!! The most important point is that Zentangle was not designed to be a new art form, but rather a method of using art that is basic and comfortable and familiar to all of us as a way of meditation. A way that anyone, even non-artists, can enter "the zone." To relax, and yet, focus, at the same time. A TRUE Zentangle has steps that set up a ritual, just like other forms of meditation. You can't just enter that state of calm by closing your eyes and saying look at me, I'm meditating." You light a candle, put on quiet music, sit cross-legged, hum, whatever. So too with Zentangle. The creators do not claim to have invented the equipment, the patterns or the concept of meditation by drawing. What they did create were the steps, how to go about this particular process. Its like yoga. It's been around for ages and in so many different forms. Does it matter where the poses originated, or who your teacher studied with? All that ultimately matters is how the poses and the practice make you feel. And how do you learn yoga? From a book? A teacher? A kit you bought at Borders? Make it up on your own? As you cruise the internet looking for Zentangle art and ideas, you start to see the difference between "doodles", Zentangle-ish art and Zentangle art by people who have had some training. Doodles are easily recognized as what they are because they are random and done in a thought-less way. Usually done while doing or thinking about something else. Unrelated. Talking on the telephone or daydreaming in a class or meeting. Zentangles are unplanned, but deliberate. The patterns are built "one stroke at a time" and they build on each other. The tangler doesn't "tune out", but rather "tunes IN". You become incredibly focused on what is evolving beneath your pen. You forget your worries for the moment. It is also very easy to see the difference between Zentangle art and Zentangle-like art. One dead giveaway is the dark lines outlining the "strings". Strings are guidelines that fade into the design when used properly. The characteristics that make a piece look like Zentangle: black and white, dense patterns within shapes, some shading - are what make some artists shake their heads and say "that's nothing new." But, again, these characteristics are not what make a real Zentangle, they are just the "look" - the end result. Zentangle is not a technique like watercolor or oil painting. It's more like... sand mandalas. It is horrifying for us to watch the monks (or anyone!) destroy those elaborate, gorgeous, detailed mandalas that they have slaved over for days - laying out each grain of sand, section by section. But, for the monks, it is all about the process, not the finished piece. That said, Zentangles do make beautiful art, but I find that they lose their meditative calming powers when I actually am forced to care how the final piece will look. So I think of these artsy pieces more as illustrations with Zentangle-like qualities. Although, quite often when I create (not including free-lance jobs, ugh) I feel a great joy, sense of contentment and ... peace. I don't know where the image is going and I dont care. I am loving the colors flowing together, the happy accidents, the image that emerges from the paint. Life is good. THIS is what the Zentangle-originators are trying to pass on to you, to me, to anyone who cares to know that amazing feeling. What you do with these skills is up to you. Resenting Zentangle, or its creators, is like resenting an inkjet printer, or Epson. These are tools to help make your creativity a reality. Use them and be happy! Interesting thoughts - I like your post. Hi Sandy... 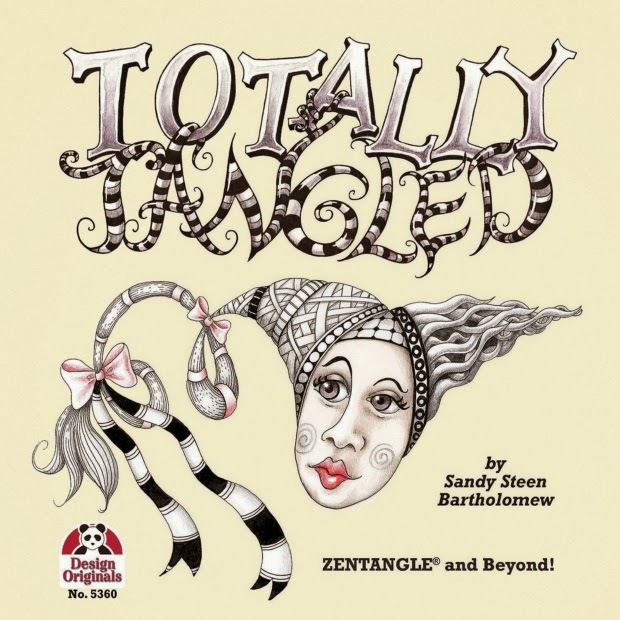 I just read your article in Cloth, Paper, Scissors and I am totally fascinated by Zentangle. Thank you!!! 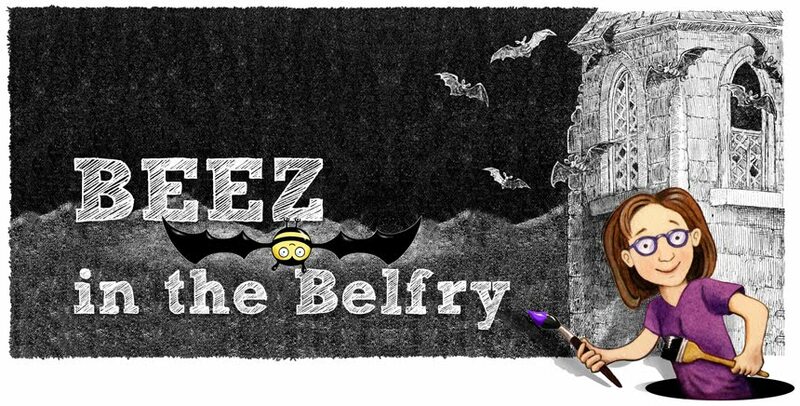 Your post describes perfectly what Zentangle is and that there is a difference from doodling. Thank you for articulating this point. I love your perspective and agree! You have got me hooked on Zentangle and I appreciate all the benefits I get from this activity/artform. I want to find a website where you can just go and find a Zentangle pattern. just 1 tangle pattern, not an entire art piece. i run out of ideas after a while and could use some new tangles, but i have been looking for hours and only find thing that you have to click and click and click just to find nothing. do you know of anyplace i can find that? Subscribe if you want to get new patterns or review old ones. Only 1 or 2 a week. Been doing it about 18 months. Great stuff. Hi, at first I was skeptical for all the reasons you mention iin your blog. Thanks for clearing up what I was hoping was the 'heart of the matter'! That said, even though I said, "Hey, what's the difference between that and what I've been doing all my life?" I have been obsessed with the different patterns, and practicing 'new' doodles. Made a way cool birthday card for my 5 yr old granddaughter. I am troubled by this. Due to disability, I am partially homebound and do not have a great deal of money. I was hoping to find a creative activity, but I cannot afford professional training by a CZT. Is there any comparable technique that you can suggest that can be done without such training? Also, from what I've seen online, Zentangle seems to be intended primarily for professional artists. I am not one, and was hoping to find something that can be done by a person with no professional arts education. Any help you could provide would be greatly appreciated. My email is RWlkrSmith@Gmail.com, if you wish to contact me directly. Thank you, Sandy. I have completed two drawings. I don't know how many rules I broke or mistakes I made, so I'm not calling them Zentangles(r)(tm). I do know that I'll eventually get better - the important thing is to actually do it, not how well. Now I'll try more to determine what my drawings are, doodle, zentangle-ish or pure zentangle (and of course some mix between them). I agree with the "Process Idea", most of my drawing started because I felt my emotion changed, whether it is joy, sad, angry or even hungry! The result, how to say it, terrible at most, but I like the process, making them make my emotion more steady, focused and killing time has never been so easy. Zentangle Article in Cloth Paper Scissors!